The Government of Samoa in partnership with the United Nations Development Programme (U.N.D.P.) launched the first ever Digital Pacific Conference 2018 yesterday. Held at the T.A.T.T.E. Building, the regional conference brings together influential development thinkers, practitioners, and public, private, civil society organizations and youth representatives to learn about international experience in digital transformation, to envision how the region and its small island developing states might benefit, and to identify common development objectives that can be pursued to leverage the opportunities of the 4th Industrial Revolution. 2. Share lessons learnt with its own decision-makers, generate a shared vision on digitalisation and identify priority areas on which the Government can focus its implementation efforts, thereby launching a process of organisational, cultural and technological change that will ready the nation for the digital age. 3. 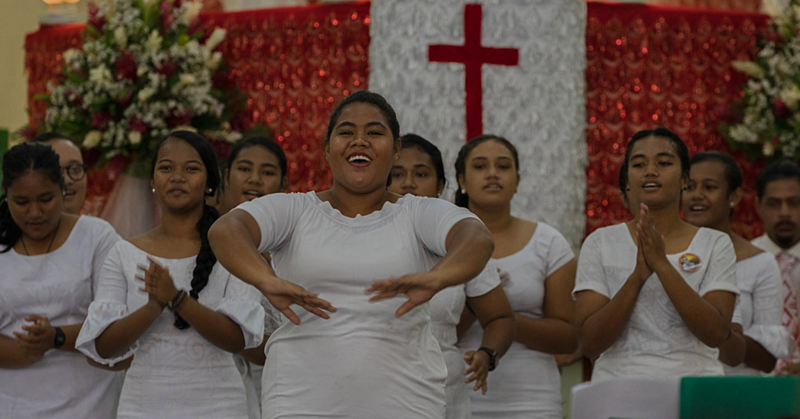 Identify key partners and financing mechanisms for the e-Governance reform in Samoa and in the region to expedite progress in digitalizing public and commercial services through relevant legislation, institutional design and capacity development. 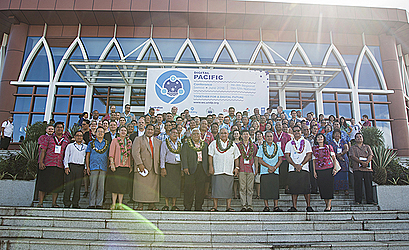 The conference is expected to determine the cornerstones of a digital transformation agenda, produce a sound basis for the design and resourcing of an action plan for Samoa as well as initial ideas for regional collaboration that the delegates can hand over to the relevant regional organisation(s) to pursue at the leadership level. The conference was opened by the Minister of Communications and Information Technology, Afamasaga Rico Tupa’i. “A heartfelt Pacific thank you for coming to visit us. We welcome each and every one of you to the inaugural regional conference: “Together for a Digital Pacific 2018”. We recognise that some of you have come a long way (and certainly do hope you got a flight upgrade on the way over). 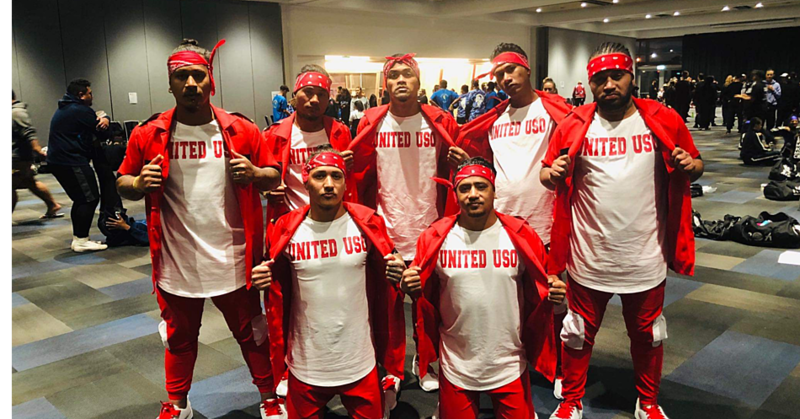 For those of you who didn’t get an upgrade, I can say, that had you only flown Samoa Airways, every seat would have felt like an upgrade anyway. On a more serious note, we are very happy to have you with us over the coming days, here in sunny Apia to discuss such an important issue for our region. On behalf of the Government of Samoa, I would like to extend a special thank you to the UNDP for partnering with us to host this meeting. We thank the Assistant Secretary General Mr Xu, for his commitment and presence here today; the UN Resident Coordinator Ms Simona Marinescu and her team at the UNDP, for all their support, without which, this conference would not have been possible. 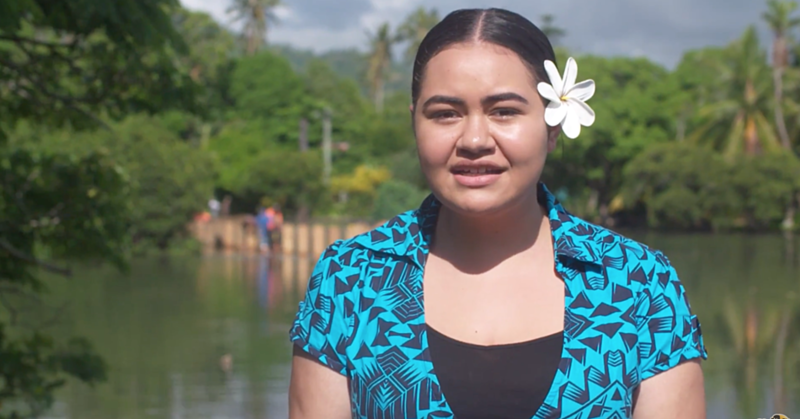 Many of these challenges were highlighted in the outcome of the SIDS Conference held in Samoa in 2014 – The SAMOA Pathway. The outcome also recognised the importance of Information and Communication Technologies (ICT) in ensuring the economic sustainability of us as Small Island Developing States. The international community also reaffirmed its commitment to support SIDS to gain access and to increase connectivity and the use of ICT through improved infrastructure, training and national legislation, as well as public and private sector involvement. Therefore, the discussions this week and the outcome of our deliberations are timely, given the Pacific SIDS regional meeting to review the SAMOA Pathway will be held in the next few weeks in Tonga. Digital transformation is key to the implementation of the SAMOA pathway, and in achieving our Sustainable Development Goals. By working together on regionally relevant digital initiatives, built on timely exchanges of information, and cooperation, we can overcome, to a degree, our challenges as small island states. Through enhanced international fibre-based Internet connectivity, we can bring markets nearer to our Island shores, connect our sellers to the world, and reduce the high operating costs for our governments and businesses, through telecommuting and online delivery of education and access to training. As of February this year, with the landing of our new Tui-SAMOA submarine fibre optic trunk, our national Internet bandwidth capacity has, in one jump, expanded some 800-fold. And that is just the start of things to come. Samoa is no longer and will never be as remote as it once was; and we are excited to be able to share our vision for a “Digital Pacific” with you. The next two days, we will First, have practitioner experts from countries well-recognised as digital transformation pioneers, to showcase their experiences with us: Australia, Estonia, South Korea, New Zealand, and Singapore. I am positive we will all learn from their achievements. Second, we will host panel discussions, covering topics of leadership, change management, innovation, emerging job opportunities, and workforce upskilling on the digitalisation pathway. We will also discuss the cost, efficiency, effectiveness and the unexpected consequences of culture and social cohesion factors involved with digitalisation. Third, we have set up an exhibition area for you to explore, bringing together different solution providers, both local and international, to showcase their technology and answer questions you may have, relating to private and public sector digital transformation. Tomorrow, we will take time to recap key insights, and undertake a visioning exercise to identify key aspects of our digital future together. Simultaneously, some of our best young minds will be working in a parallel event to envision a digital future for 2030, from their unique perspective. I continue to be inspired by the innovation and determination of our young minds in the private and public sectors and look forward to the presentations at the end of that session. Finally, I will host a roundtable dialogue, describing our ICT sector and future needs here in Samoa, and we aim to link this conversation to the upcoming meeting in Tonga.